We are a group psychotherapy practice of licensed mental health clinicians, providing comprehensive psychotherapy services to adults, adolescents, children, and seniors. 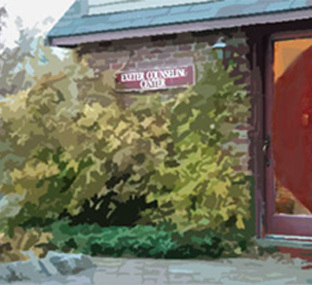 Formed in 1987, Exeter Counseling Center has three locations with offices in Exeter and Durham. Our main office is located in the Marshall Newell Boathouse, a historic building erected on the Squamscott River in 1917 by Phillips Exeter Academy for the crew team. It was renovated in 1983 as our current main office space. Exeter Counseling Center is a well established practice with a reputation for warmth, stability, and respect for our clients and each other. We maintain high standards of ethics and confidentiality, and consult each other regularly about clinical matters enriching your psychotherapy and our clinical practice. While our therapists are on the panels of most insurance companies, we off a self-pay option as well. We enjoy our work and look forward to the challenge of how best to help you, our clients. Welcome!